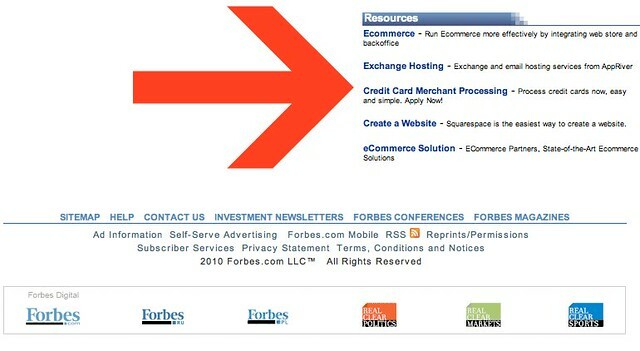 Forbes.com, the extremely popular magazine web site, has been notified by Google that they have been penalized for selling links on their web site. Denis Pinsky, the Digital Marketing Manager at Forbes.com, posted a Google Webmaster Help thread with the notification warning. As some of you know, Google now email site owners when they are participating in unnatural links and Forbes.com just received their email from Google. We've detected that some or all of your pages are using techniques that are outside our quality guidelines, which are available here: http://www.google.com/support/webmasters/bin/answer.py?answer=35769&hl=en. Specifically, look for possibly artificial or unnatural links on your site pointing to other sites that could be intended to manipulate PageRank. For more information about our linking guidelines, visit http://www.google.com/support/webmasters/bin/answer.py?answer=66356&hl=en. We encourage you to make changes to your site so that it meets our quality guidelines. Once youve made these changes, please visit https://www.google.com/webmasters/tools/reconsideration?hl=en to submit your site for reconsideration in Googles search results. Google told Forbes that they have "artificial or unnatural links on your site pointing to other sites that could be intended to manipulate PageRank" on their web site. In other words, they are selling links, which is against Google's guidelines. Pinsky asked, in a public forum, "Can someone help figure out what Links are in violation?" 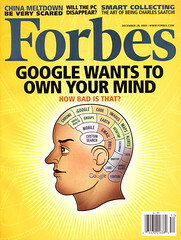 It is important to add that this would not be the first time Forbes.com was penalized by Google for selling links. In fact, Forbes wrote about the first time back in 2007, the article was named Google Scares The Search Crowd. Thursday, Web site administrators for major sites including the Washingtonpost.com, Techcrunch, and Engadget (as well as Forbes.com) found that their "pagerank"--a number that typically reflects the ranking of a site in Google. Forbes is no stranger to how Google works. I am a bit surprised that the top SEO at Forbes would post this in a public forum - I assume he has no clue where the paid links are. I looked and didn't find anything within 60 seconds of looking. Do you see the paid links? Unless Google thinks the Data Partners on the bottom are a link scheme? Starting Monday Forbes started to delete the links from their site. Weve been watching these links come down, but they seem to have forgotten one page. See the bottom right of this page for paid links to Netsuite, AppRiver, Bluepay, SquareSpace and others, all with very nice descriptive keywords like ecommerce, Create a Website, etc. Previous links to Siemens and AT&T were prevalent, and those links still appear on eWeek and CIO Magazine. Update: Forbes responds: Forbes responded basically saying these links were on legacy pages that some how went live during a site redesign. It was a mistake and they pulled the pages.